Australian Cricketer turned commentator Kerry O'Keefe has reportedly been blacked out by Indian broadcaster Sony for the fourth and final Test between India and Australia in Sydney due to his controversial remarks, which he made on the Indian Players during the third match. India vs Australia 4th Test Sydney: Australian Cricketer turned commentator Kerry O’Keefe has reportedly been blacked out by Indian broadcaster Sony for the fourth and final Test between Australia and India in Sydney due to his controversial remarks. 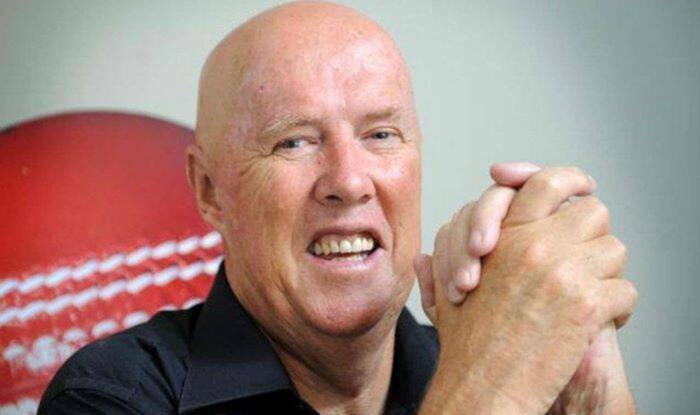 The former Aussie cricketer made some derogatory and snide remarks about the Indian players during the third Test in Melbourne. After receiving several complaints, broadcasters have decided not to air 69-year-old’s commentary, as per the reports. “We cannot have someone making snide remarks on Indian players”, an unnamed source was quoted as saying by The Mumbai Mirror. They also clearly stated that the BCCI has nothing to do with the matter. The broadcasters have a deal with Fox Cricket where it uses 30 minutes of their commentary in an hour and O’Keefe is a part of Fox Cricket commentary team. So, now Sony now has got the commentary roster of Fox and has decided that Fox commentary is not heard by Indian viewers when O’Keefe is on air. During the Boxing Day Test, he said that Mayank Agarwal’s triple century in the Ranji Trophy had come against Railways “Canteen Staff” which comprised of “Chefs and waiters”. And, also commented that why would you name your child “Cheteshwar Jadeja”. Meanwhile, he faced a major backlash on social media for the comments he made, which led him to delete his Twitter account and he issued an open letter to apologize and clarify to all the fans for his comments. “When I made a remark about Indian first-class batting averages within their domestic cricket competition being made against a “canteen” bowling attack, I was being entirely tongue in cheek. I was certainly not disrespecting Indian cricket, where I toured as a schoolboy and for which I have the greatest admiration as a cricketing nation,” he wrote in his open letter for foxsports.com.au. “There was no intention to ridicule those two wonderful players and I am horrified by any suggestion to the contrary. I had spent months researching and analyzing these two players and when the moment arrived, I stuffed it up. The joke was on me,” Keeffe added, trying to bring an end to the matter.